Our next trip is to see Stomp!! ​The unstoppable smash-hit is back for one week only and it’s fresher, faster and funnier than ever! Stomp takes familiar objects like newspapers, bins, plastic bags and even the kitchen sink and uses them to create a universal language of rhythm and movement that’s playful, thrilling and exploding with energy. From its humble beginnings in Brighton in 1991, Stomp has grown into a truly global phenomenon that will set your toes tapping and your pulse racing. 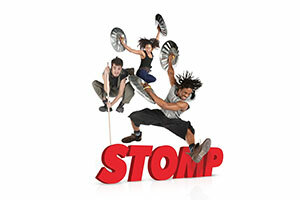 Stomp combines dance, comedy and music into an experience like no other – don’t miss it!